Marilyn Jean Ireland, 85, passed away September 6, 2018, after a short illness. A Funeral Service will be held Saturday, September 15th at the Simms United Methodist Church at 10:00 AM with Burial to follow at Sun River Cemetery. Marilyn was born on October 1, 1932 at the Deaconess Hospital in Great Falls, to Dave and Mabel Ireland. She was raised on farms near Riebling, Craig and Simms. She graduated from Augusta High School and then completed a Dale Carnegie Course in Great Falls. She was a great help to her mother, who cooked for large ranches in later years. 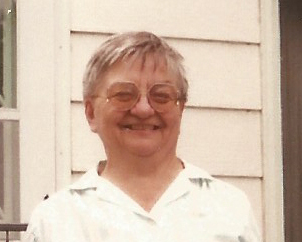 After her mother’s passing, Marilyn continued to live on the family farm for the next five years, driving to Fairfield to see doctors and stock up on groceries. She loved playing piano, attending services at the Simms Methodist Church, and the Simms Women’s Club. In 2009 she moved to Eagles Manor. In 2013, needing more help, she moved to the Sapphire House, where she received excellent care, especially by her care giver, Nedra Phinney, whom she dearly loved. She is survived by cousins, Mary (Bill) Stansberry, Susie (Greg) Egbert, and Ida Jane Johnson. She goes on to join her parents, Mabel and Dave Ireland. Memorials are suggested to the Simms United Methodist Church.